The blog welcomes both readers from our current student, faculty, staff, and alumni communities, as well as those who may be considering joining us here at Redlands—prospective students, families, and employees—or who just want to know us better. Bulldog Blog will complement some of our other communications vehicles—Och Tamale magazine, which provides in depth print and online coverage three times per year; Redlands.edu, which highlights ongoing Redlands programs and opportunities; internal “Bulldog” campus-wide emails containing news and practical information; and our social media presence on Facebook, Instagram, LinkedIn, Twitter, and Pinterest, where we will share many of the upcoming blog posts. 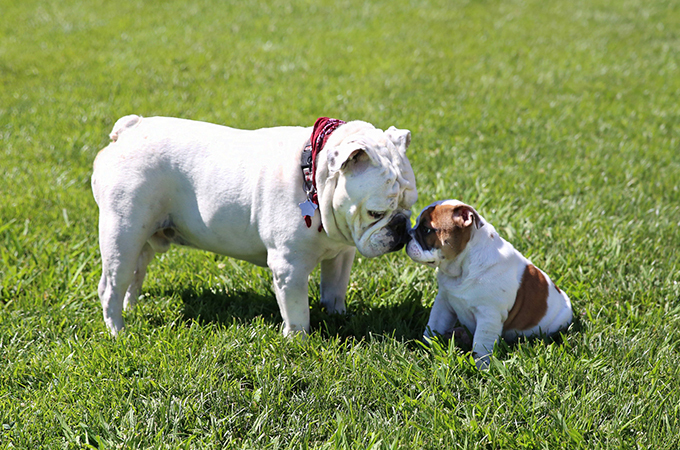 In the Bulldog Blog, stories, photos, and videos will capture the multifaceted life of the University—providing a look behind the scenes and in the spotlight; a view across the variety of undergraduate and graduate programs; and perspectives from students, faculty, staff, and alumni. Upcoming posts include a video of parents giving advice to their first-year students, a current student’s take on surviving—and thriving in—a dreaded class requirement, and a profile of a recent alumnus who landed a job running geographic information systems (GIS) for an environmental group six days after graduation. For these stories and more, check back at www.redlands.edu/bulldog-blog or subscribe for the weekly blog digest to be delivered to your Inbox (University of Redlands employees will receive these weekly updates automatically and may opt-out at any time). If you have an idea for a blog or would like to contribute, please feel free to reach out to Editorial Director Mika Elizabeth Ono at mika_ono@redlands.edu. Again, welcome to Bulldog Blog!